So, a week ago Frauleinen Gertrude von Whomper left us. She’d been diagnosed with an enlarged heart and heart failure in December. I was a wreck just before Christmas. I was afeared her diagnosis was a death sentence and it turns out it was. I knew her death would take a toll on me and annihilate my son. Trudy, as she was known, was my birthday present 12 years ago. She was a red dachshund and a spoiled brat. She was our second dachshund. In a tragic accident, I ran over Frauleinen Stephanie von Whomper. I seriously did not know if I could live through her death. I grieved and I grieved hard, especially as it was my fault. Stevie was a Cracker Jack and I mourned her hard. After a few weeks, we couldn’t stand coming home to an empty house any longer and we “rescued” Willy the Italian Greyhound from a local pet store. 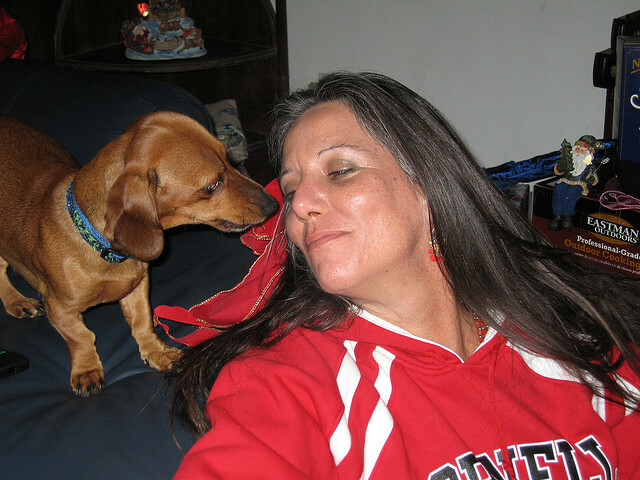 Six months after that, I was ready for another dachshund and Trudy came to our home from a trailer in South Point, Ohio. 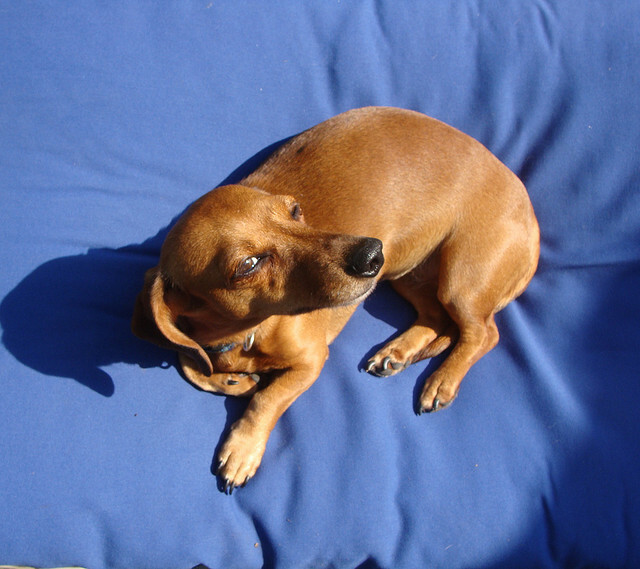 As dachshunds are wont, Trudy was independent, needy, spoiled, and a complete delight. She had the prettiest eyes. She and Willy bonded. They were quite the pair. More importantly, she and my son bonded. It was the Great American Love Story. A few years ago, my son called and said, “Yo, Mom.” Any conversation that starts with “Yo, Mom” is to be taken very seriously. As it turns out, he was working up the courage to ask me to let Willy and Trudy come live with him in Charlotte. He really wanted just Trudy, but she and Willy were a bonded pair. Chef Boy ‘R Mine and Stevie had been very close. We got Willy because he couldn’t handle another dachshund. When I wanted to bring Trudy home, he said, “Whatever.” Who knew that she would become the most important creature in hi life? They fell in love with each other almost immediately. As it turns out, I was ready to let Chef Boy ‘R Mine have the two dogs. It was the right time and they were better off with him than me. Trudy went into heart failure a week ago today. 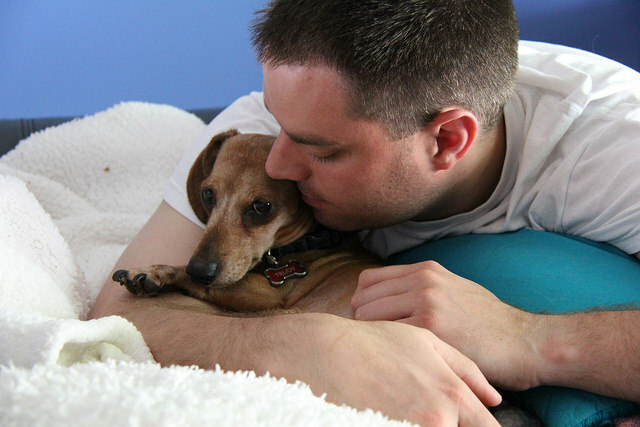 My son had to make the horrible decision to have her euthanized. Evidently, he tried to call me in the moments of grief but it was late. I was sleeping and didn’t hear the phone ring the four times before it went to the answering machine. I hate that I wasn’t there for him. We’re going to miss Trudy. She was something special. My heart just aches.